Adding new items to your business inventory is going to be a big decision that you’ll want to base on a few strategic factors when ordering Thai handicrafts wholesale from Chiang Mai. One of those factors will be whether or not it is a top seller. 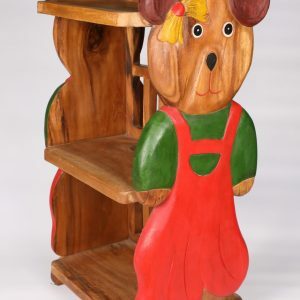 Wholesale children’s wooden step stools have been at the top of the best sellers list, along with carved wooden animals, for some time and remain there because of the quality materials used, the skilled artisans that apply precision throughout the creation process, and the unique characteristics that will catch the eye of parents and children alike. Time and time again, repeat wholesale orders have proved to be a testimony of success with this Thai wood carving product. 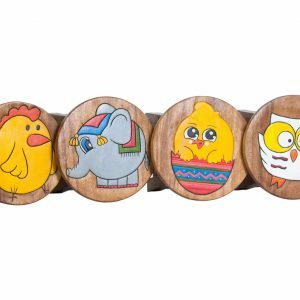 Here we highlight our wholesale kid’s step stools so that you can learn more about the benefits and marketing methods that will increase revenue and please customers whether you own a major retail store, local boutique, craft store, toy outlet, or simply selling online or in local flea markets. One of the primary benefits of investing in engraved wholesale child’s wooden stools is that they are a popular item and provide many stores across the globe an increase in revenue. Many end consumers purchase kids step stools for their classrooms and homes, as well as for gifts, and a handcrafted piece is going to be more unique and memorable. Both delicately hand carved and artistically painted by hand from local Thai craftsmen and women, this makes these pieces sought after by consumers on a regular basis. While you will see an increase in revenue due to the number of purchases made for this popular Thai carving product, you will also save money when you buy wholesale because you will get a lower price per item while still maintaining high quality. Plus, logistics and communications will be easier when you purchase hand painted childrens wooden stools with us as we assist with every step of the way, whether it is the ordering process, quality control, packing and shipping the orders out to your home country. And given our wide variety of kids’ stool and chair options, you can choose from numerous designs to stock in your store! Another advantage is the variety it will add to your portfolio both in terms of design and color. 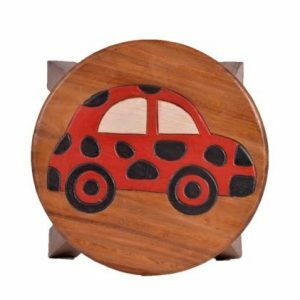 Handcrafted children’s step stools will be a wonderful addition to your shelves and give an edge over your competition. With its economical price tag, attractiveness of the product, and functionality of the stool, business wholesale buyers have found them as a great asset to have in their Chiang Mai wood carving and handicraft selection. want to display the children’s foot stools so both kids and adults have an easy view. Because they are unique, fun, and colorful, they will grab the attention of people of all ages, and it’s important to your ROI that you display them for all to see. Displaying a few stools with a child’s table as a set also appears attractive and gives the parents or relatives an idea of how to utilize these uniquely crafted products. If you have an online shop, you can pair quality images of the kid’s foot stools from all angles with a few photos of them in use. When a customer can visually notice the potential of the kid’s stools in the store, they will be more likely to complete the purchase. 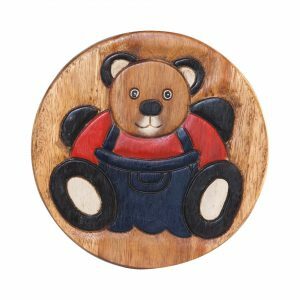 You can also showcase these hand carved childrens wooden stools for kids for birthdays and holidays when gift giving is in full swing through newsletters and special feature papers. 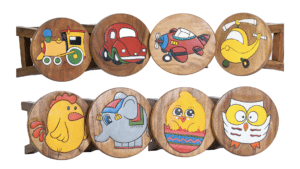 Grandparents, parents, and relatives commonly find it a challenge to purchase the perfect gift for their little ones and your portfolio of engraved childrens wooden step stools will bring great relief and satisfaction to their hearts! 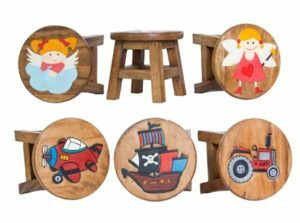 Bringing in a top selling product like wholesale children’s wooden foot stools is a great way to enhance your portfolio and provide an artisan product that consumers are seeking out. By embracing these benefits and marketing methods, you will start to see the difference in your bottom dollar, bringing in a cheer and smile to both parents and store owners alike! The handcrafted children’s foot stools are going to be exceptionally unique because the designs are hand carved by artisans from Thailand and acute attention to detail is given to every aspect from the curves and lines to the colors. 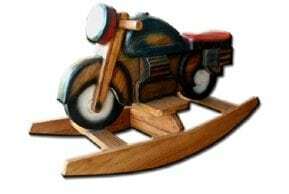 The wood will be carefully selected for the project to ensure the right sizes and shapes are going to be accomplished. The engraved patterns and hand painted designs of fairies and dragons to wizards and pirate ships will be a delight to the eyes and will peak the interest of children as well as those shopping for them. Every detail is taken into account and the artisans craft everything from hand with skill and precision. From the construction of the stool legs and preparation of the seat top to the carving, staining and polishing, kid’s step stools are going to be made with quality at the forefront of the mind to ensure that you get lasting qualities and can sell them for many years to come. As monkey pod wood is the primary raw material, a well drying process that utilizes the power of the sun and kiln-drying the wood, gives assurance to properly prepared childrens step stools with export quality. The Chiang Mai handicraft manufacturers’ goal is to make sure that these pieces are durable as well as attractive so that customers can pass the stool on to their children in the future. We know that retailers don’t want to get calls and returns because the item isn’t made to last, and that can easily be prevented by taking each technique into account and executing it with accuracy. That is why we are here. To make sure that our international wholesale buyers get the product they need to keep them in business for the long term with profitability and well known reputation. Once the child’s stools are handcrafted, you will be able to work with Chiang Mai wholesale suppliers to see a return on the investment. 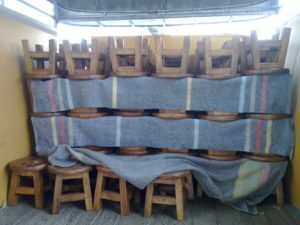 Trust that the artisans put a great deal of skill and time into each stool to provide the quality that your customers will notice as soon as they make the purchase, making international trade and export an effective tool for your business. 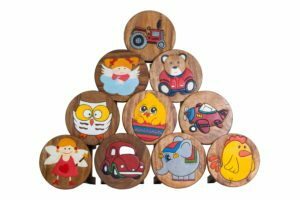 Adults and children alike will love the many unique designs to choose from when choosing children’s stools and chairs made from monkey pod wood, also known as suar wood. From animals to sports themes, you will find these are sought after as gifts at souvenir shops, toy stores, and even local craft markets. Thailand handcraft manufacturers have found great success with these pieces because they are versatile and work in many settings. Classroom settings, daycares, and other child focused environments will appreciate the uniqueness of each piece. Private home settings such as for the living room or placed in the child’s bedroom is also an attractive choice for end consumers. Lions, owls, pirates, princess, soccer balls, and more will be available and each aspect will be carefully polished and colored so the Chiang Mai handicrafts wholesale will be ideal no matter what design you choose. Some of the children’s foot stools and chairs will have a seat that is in the shape of an animal’s head while others will be round with a delightful pattern on it. There will also be square seats that you can add to your portfolio. As one of Thailand’s main sourcing agents, we have a great collection of designs to choose from and with some of the best wholesale prices in the market direct from local Thai family producers and manufacturers. Browse our extensive catalogs and reach out to us with the designs of your choice. Our well-defined kids step stools come in a variety of sizes such as a seat top of 10 inches in diameter with smaller legs or 11 inches in diameter with thick legs. Whatever designs you choose to start with when investing in wholesale children’s wooden step stools for your store, it won’t be long before you start to notice the customers interest in these rise, in your increased revenue and in the inquires that continue to grow! Reach out to us for any questions or on how to order these beautiful and artistically handmade crafts from the local family producers in villages across northern Thailand. As a Chiang Mai buying agent we will be happy to assist with your requests. Start with one or two designs from the Thailand handicraft manufactures, and then add to your collection of quality artisan kid’s stools and chairs as the demand grows (and it will).